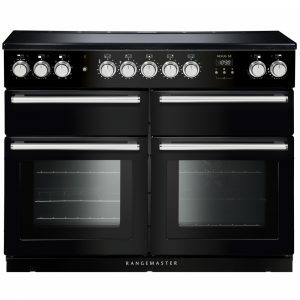 Home | Rangemaster - Half price hood with every range cooker! Rangemaster - Half price hood with every range cooker! Promotional dates: This offer runs from the 14th January 2019 until 31st May 2019. About this promotion: Get a HALF PRICE hood when purchased with a Rangemaster range cooker until the 31st May 2019. 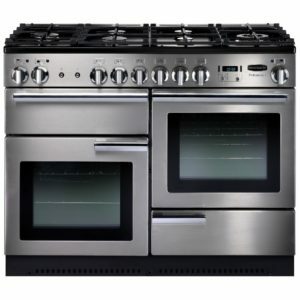 Introducing this seriously sleek, dual fuel range cooker from Rangemaster! Offering five gas burners, including a wok burner, two electric ovens and a separate grill, keen cooks will have everything they need. Busy families will appreciate the innovative Rapid Response function, which harnesses extra heat to ensure you're oven-ready up to 30% faster. And if roasts are your thing, then you'll love the unique HandyRack located on the inside of the oven door giving you easy access to check and tend to your roasts. 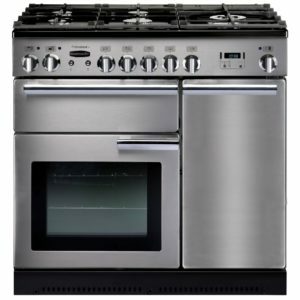 Finished in stainless steel, this Professional Deluxe range cooker is bound to make a bold statement in your kitchen. When a cooker is called the Professional Plus, you can expect nothing less than truly professional results. With its stainless steel finish, two electric ovens, separate glide-out grill and a five zone induction hob, the PROP90EISS/C offers the perfect mix of modern technology, great looks and flexibility. Induction cooking is not only highly energy efficient but can save time too. As only the base of the pan is heated, less heat is lost and it is concentrated where it needs to be. 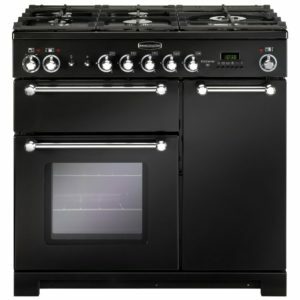 This 90cm range cooker also comes with a two year parts and labour warranty, for added peace of mind. Outstanding quality and made here on British soil, this stunning range cooker from Rangemaster is nothing short of perfection. Featuring two electric ovens, a grill and a six burner gas hob, the PROP110DFFSS/C offers you all the flexibility you need in the kitchen. The HandyRack is perfect for cooking a roast and is attached to the inside of the oven door to allow for easy basting. Finished in stainless steel it's sure to create a stunning focal point in your kitchen and with its two year parts and labour warranty, you'll have added peace of mind. Proudly made in Britain with beautiful results and flexibility, this stainless steel dual fuel range style cooker from Rangemaster features a wealth of features for cooking enthusiasts. With a five burner gas hob, two large capacity ovens, a separate grill and dedicated slow cooker, the NEXSE110DFSS/C caters for every occasion. The energy efficiency rating on this model is a desirable A/A and it also comes with a two year parts and labour warranty as standard. 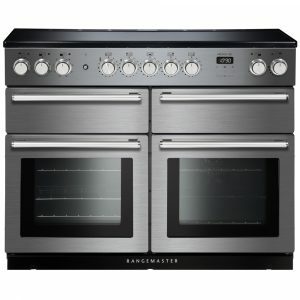 British made and fantastic quality, this range cooker from Rangemaster is the perfect addition to any kitchen. Offering two electric ovens and a five burner gas hob including a triple ring wok burner, the PROP90DFFSS/C gives you all the flexibility you need to cook up a feast. If Sunday roasts are your thing, then you'll love the HandyRack. Located on the inside of the oven door it gives you easy access to check and baste your roast to perfection. This model is finished in stainless steel, has an energy efficiency rating of A/A and comes with a two year parts and labour warranty as standard. Finished in stainless steel, this Professional Deluxe cooker from Rangemaster is incredibly eye catching, sure to turn heads while you cook up all your favourites. There's plenty of space and flexibility so you can cook your best roast dinner or batch of crunchy biscuits. If you need to warm soup, simmer a sauce or stir fry, you will love using the induction hob; the 5 cooking zones offer great power and control over the heat, as it is only transferred to the pan as it is detected. You will be sure to impress all your friends with your recipes! 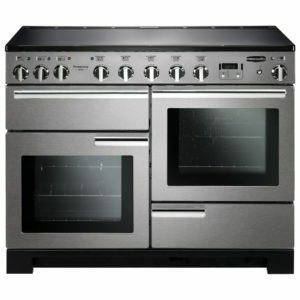 Made by Rangemaster to create beautiful dishes flexibly, this stainless steel induction range cooker caters for every occasion, featuring a five zone induction hob, two large capacity ovens, a separate grill and dedicated slow cooker. The energy efficiency rating on this model is a desirable A/A and it also comes with a two year parts and labour warranty as standard. 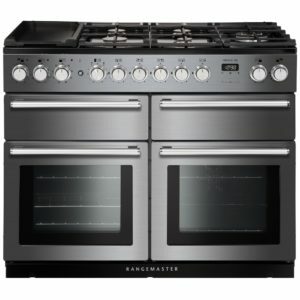 Expect nothing less than truly professional results from this 90cm Rangemaster ceramic range cooker. 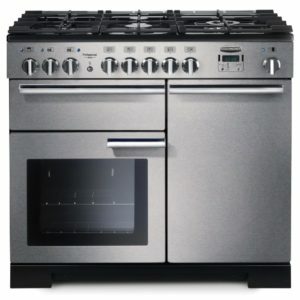 With its stainless steel finish, two electric ovens, separate glide-out grill and a five zone ceramic hob, this cooker offers the perfect mix of style and flexibility. If you enjoy cooking joints of meat then you'll love the added benefit of the HandyRack. Located on the inside of the oven door, it gives you easy access to tend to your roasts. This range cooker has a desirable energy efficiency rating of A/A and it comes with a two year parts and labour warranty as standard. 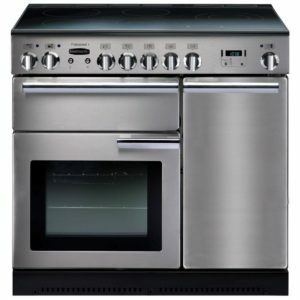 The Rangemaster Professional Plus induction range cooker is simply stunning in stainless steel. This will definitely add the wow factor to your fabulous kitchen. It is a cook's dream with a massive 114 litres of oven space which can be used as a split cavity for smaller cooking needs. Featuring 7 cooking functions in the oven including a grill and a 5 zone induction hob, you will be totally spoilt for culinary options. If you found cooking a chore before, we guarantee you will love it now! The Professional Plus range will give a professional touch to your cooking by utilising all the high performance features this amazing cooker possesses. Rangemaster are, literally, masters at what they do. What you are getting here is quality, durability and cooking excellence wrapped up in incredible style and timeless beauty. Introducing the super-sleek Classic Deluxe 110cm range cooker, packed full of features to make cooking a daily pleasure. The CDL110DFFCR/C features a main multifunction oven, an electric oven, a smooth action glide-out grill, plus a large 7 burner hotplate including a ceramic multi zone, so you won't be short on cooking options or space. Plus, if sunday roasts are your speciality, you'll love the handy rack located on the inside of the oven door, making it easy to check and baste your roast to perfection. 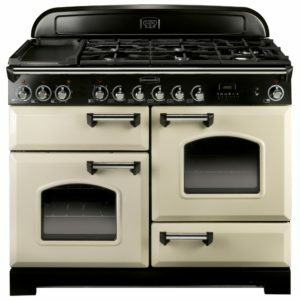 Finished in cream with traditional range cooker styling, this model is bound to make a statement in your kitchen. 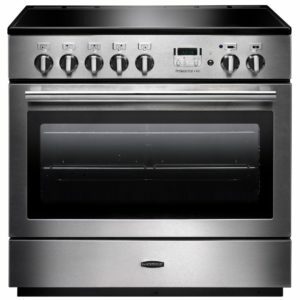 Made by Rangemaster to create beautiful dishes flexibly, this black induction range cooker caters for every occasion, featuring a five zone induction hob, two large capacity ovens, a separate grill and dedicated slow cooker. The energy efficiency rating on this model is a desirable A/A and it also comes with a two year parts and labour warranty as standard.